The 2nd deposit bonus is valid for the 2nd deposit to casino only. The bonus will be credited automatically (no bonus code needed). 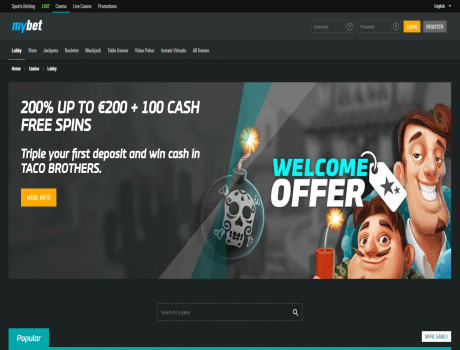 The minimum deposit is €10 and the maximum bonus amount is set at €500. The bonus will be credited immediately and becomes withdrawable when wagered 35 times within 30 days. Slots count for 100% towards the wagering requirements and all other casino games count for 20%. The maximum stake per playing round during the bonus wagering period is €5.